The freshman year at any university, and particularly in a rigorous engineering program, can be challenging – a new place, new social connections, and new academic expectations. One of the trends we’ve seen nationwide since the 1990s is a renewed emphasis of offering more engineering courses up-front in the curriculum, including during the freshman year. In my own experience, I recall a lot of basic math, science, and general education courses my freshman year, without any engineering courses until I was a sophomore. Needless to say, I stuck it out because I was optimistic that the interesting courses would come later. They did, but it sure would have been nice to have a more engaging freshman year. It’s good that things have changed. 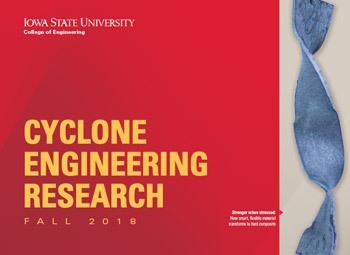 Today at Iowa State, we’re proud about the way that our curriculum, advising, and activities outside the classroom, enable students to broaden their engineering knowledge and skills and get excited about the engineering profession. And get their hands dirty, too. Learning communities in the residence halls enable students to live, eat, go to class, and study together, providing a ready-made support network for freshmen, and opportunity to connect with faculty and staff early on. Student clubs like Freshmen Leaders in Engineering (FLIE), Material Advantage (MA), and the Society of Women Engineers (SWE) are open for students to get involved from the moment they arrive on campus. Groups like Team PrISUm, Cyclone Power Pullers, Society of Automotive Engineers and Iowa State Space Society have significant hands-on team design and fabrication projects. Our freshmen get involved and meet upper division students, learning to apply the lessons of the classroom to make things that work. Courses and textbooks are providing the pedagogy to bring engineering science and design to the freshman year. 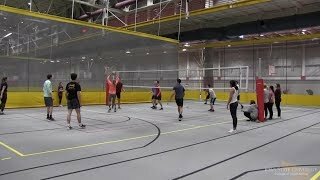 Last fall, teams of students in our introductory aerospace engineering course builtremote controlled lighter than air ships, and had an end-of-semester “flyoff” competition. And my own textbook, An Introduction to Mechanical Engineering, is used for instruction in first-year courses at a number of universities. We’ve also hired additional professional academic advisors within the engineering college, and they work closely with students to help then choose the engineering major that best fits their skills and interests. In the end, the goal is the success of students, both academically while they are on campus and professionally throughout their careers. We’ve made good strides, but we can always do more, and I encourage you to share your ideas with instructors, our department chairs, and with me. Another way to help freshman is to make sure they have a mentor. It can be very lonely as a freshman in the College of Engineering. In my case, I started with the intent to become an Electrical Engineer. I remember sitting in Freshman Engineering 101 and the professor at the front said for us to look at the student to the right of us, look at the student to the left of us and to recognize at least 1, if not 2 of us three would not graduate in Engineering. This was very sobering. Early on, I realized that Industrial Engineering might be more my cup of tea. I was fortunate in that my father (also an Engineer who graduated with a BSc in Civil Engineering) from Iowa State had a college chum who had stayed the course and earned a PhD in Industrial Engineering (Gerald Smith) ultimately becoming a full member of the ISU faculty. Gerry encouraged me to look at Industrial Engineering and was available from time to time to speak with me about how I was finding the curriculum. This helped tremendously. An alternative is to have a tutor (much like they do in Ivy League universities, plus Cambridge (UK) and Oxford (UK). If the professional academic advisors can act in this role by regularly meeting with the Fresham student to review progress, provide tips on how to deal with challenges and to help the student pick a study style that meets the very rigorous demands – there will be a higher achievement rate in terms of graduation. his impressions. We like him! Thanks. Maybe I’ll run into you one of these days. 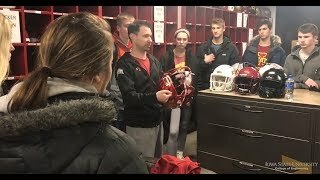 Because our daughter is beginning her engineering journey at ISU this fall, I’ve been able to see firsthand just how many things have changed since I received my BSIE there. I agree that allowing the students to experience more interesting engineering classes earlier in their career is a positive step toward fostering enthusiasm for the field. However, I found that the experience that made the biggest impact on my ability to earn my degree and land a terrific job with General Electric after graduation was my work as a Co-op for Rockwell International beginning the summer after my freshman year. It is with this in mind that I applaud the newly (?) mandated requirement for freshman to attend the “Career Fair” in the fall and I can only hope that additional effort will be made toward working closely with Industry to create more Internships and Co-Op opportunities early in the students’ education. My Co-op experience gave me the enthusiasm I needed to make it through the often rigorous, demanding, and difficult coursework, it generated an excitement for a career in engineering, and it fostered the practical skills necessary to enable me to be successful after graduation. I’m excited to see all the improvements being made. Keep up the good work!